Back in December last year I wrote about my plan to start crocheting the Sky Blanket. Those of you who have been following me on Instagram have probably seen updates of my progress so far. I am pleased to report that I have judiciously stuck with the project and now have 31 rows in my Sky Blanket - one for each day of January 2016. I have gone with shades of blue for the majority of rows. Even on those monotonous grey days, if I spotted some blue, I went with it. 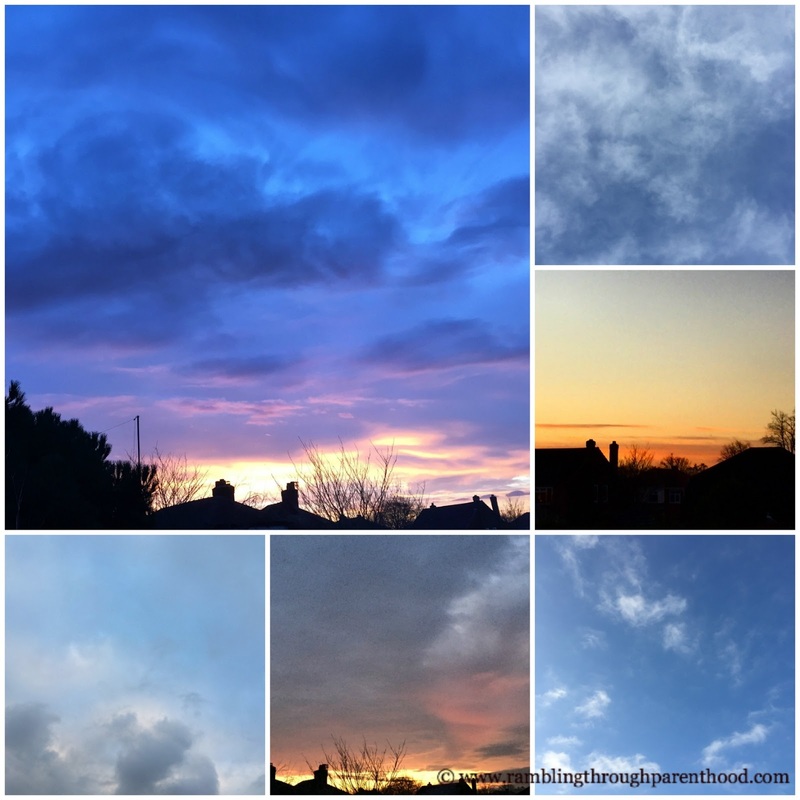 I did however change colour to something other than blue for days when there was a striking feature in the sky. For example, a spectacular sunrise or sunset. Or torrential rain when you couldn't see beyond your nose. Snow, of course gets a special row of bobbles in sparkly white. 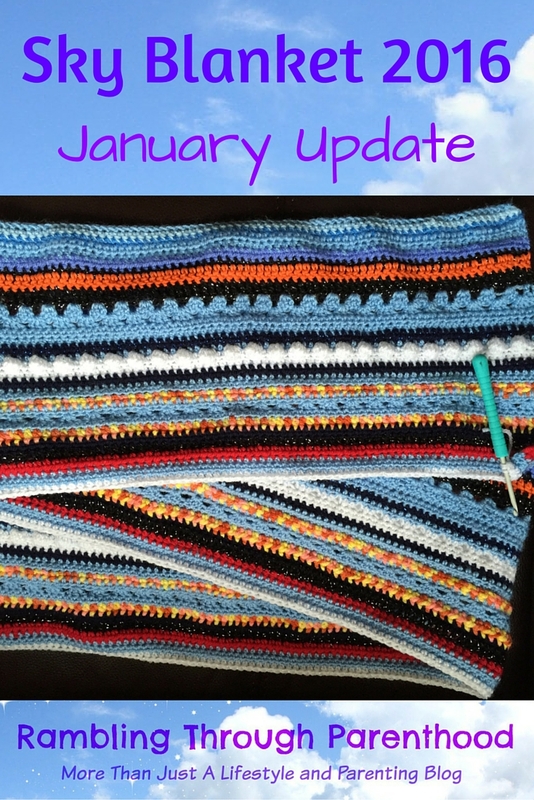 I have enlisted details of stitch type, yarn and hook size that I used for January. Why not have a go recreating the pattern yourself? And don't be too upset if you end up missing a stitch or two and a wobbly edge. It's all about enjoying the creative process, more than anything else. All terms are for UK crochet unless otherwise specified. I keep wanting to start crochet. I've got all the hooks but I haven't managed to get my head round it. 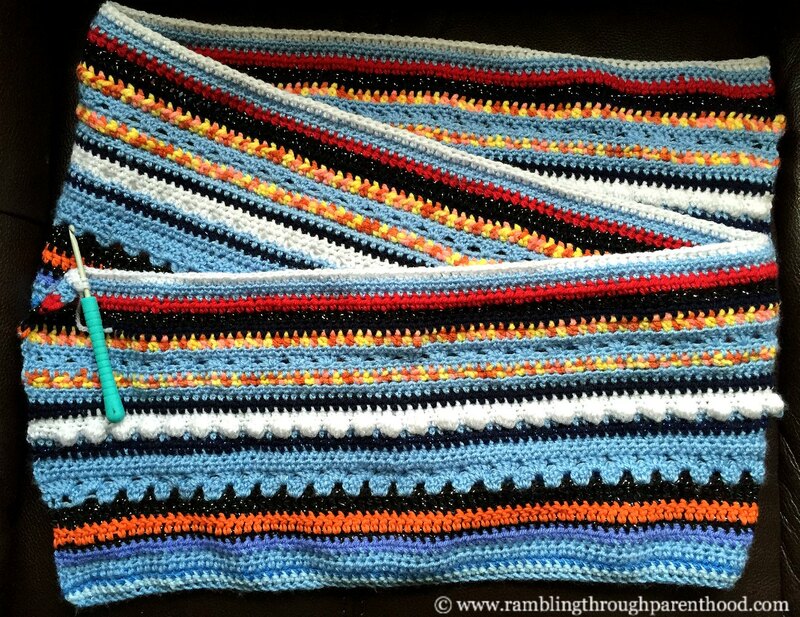 I think I need to get my needlecrafts book out again as this is gorgeous! This is the type of thing I would love to be able to do, but I know that I would never dedicate the time and effort needed. Well done, you! Your blanket is so beautiful! 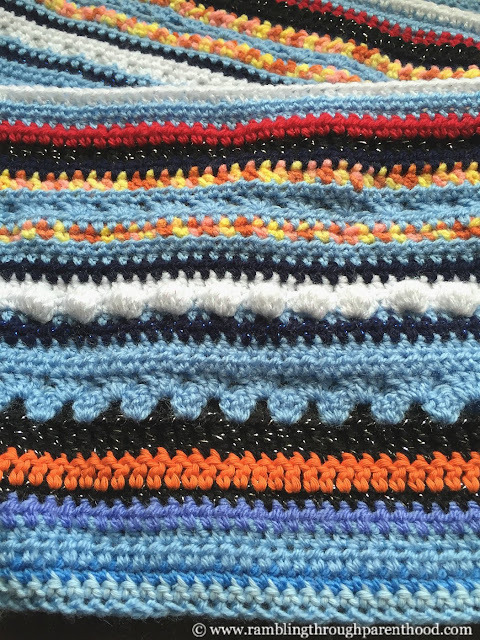 Thank you for including all the different stitch types that you used, mine is mainly half treble so far with a couple of rows of trebles thrown in, I'm looking for inspiration to break it up a bit! That looks fantastic! Well done...I love all the colours. You must be the crochet master! I did give it a go once, but could only do one stitch and my rows were never straight!